This is a great book and a great series. I read it for the first time when I was a 15-year-old girl and bored out of my mind at school without a good book to read. A classmate had the first Tarzan book and although it looked like nothing I would ever be interested in, I was desperate. I think I did no school work, homework, chores or anything for as long as I could get away with it. I read every one of the books in the series - there's over 20. Couldn't put them down. That was in 1981. This time around my kids and I were driving up from California to Washington and needed a great book on tape. 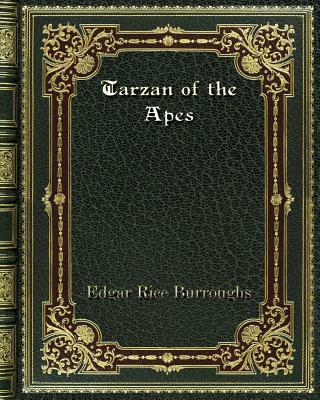 I ordered Tarzan, Book 1. My kids, ages 14 and 11 LOVED it. The reading is great. The reader's voice perfect. It was such a great experience. I would most definitely order every other book in this series. Also, the price was great, the packaging exactly as it should be. You won't regret purchasing this item. I am glad I got the sequel as well as the 1st book really leaves you wondering what will happen next. What can you say about a book that created a genre? With his first Tarzan novel, Edgar Rice Burroughs invented the jungle-man hero, now a science-fantasy staple, and started a franchise that is still going strong. This introduction to Tarzan is still tops, giving the origin of the ape-man in a ripping action yarn that thrills as much today as when it was new. Often imitated, but never duplicated.